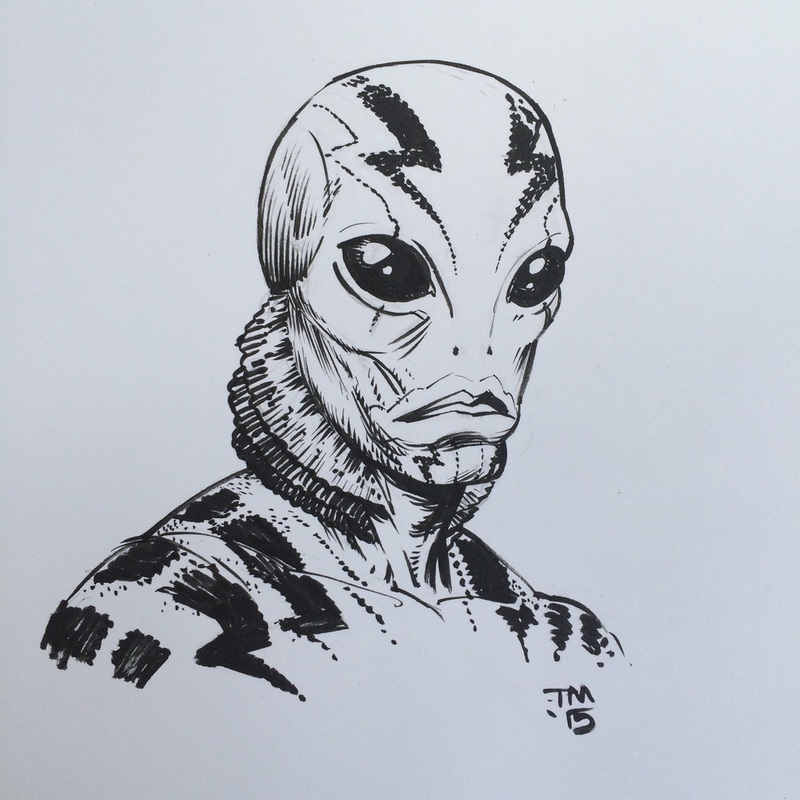 I love HELLBOY, so I thought I'd bust out an ABE SAPIEN head shot for today! The sketches this summer have come in fits and spurts but i've got a full week in the chamber already, so tune in. Today is King Conan. Because Conan. See this piece hung before you, and hear the lamentations of your jealous friends by visiting the STORE.